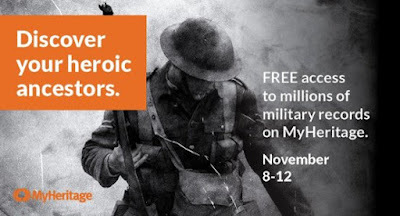 We want to let you know that ALL of our 47 million military records from around the world are searchable for free on MyHeritage to mark 100 years since the end of WWI. The records are available for free from November 8-12. As we remember the sacrifices made by the brave soldiers from all over the world, it’s a fitting opportunity to reflect upon the personal contributions made by our ancestors.